Labor Day Weekend – it’s time to wrap up summer activity, watch the sun rise a little later and the sun set a little earlier, and firm up autumn schedules. But what about Labor Day? During my Saturday long run, I mused over its meaning. 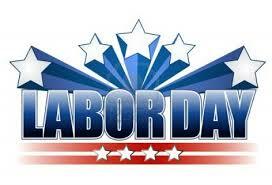 What is Labor Day beyond serving as one of the anchors of our summer season? Having worked in the labor force for some 40-odd years, I should have something worthwhile to say on the subject. I am incredibly grateful for every job that I loved (those that were truly a labor of love) and just as grateful for those I didn’t love because there was always something to be learned. From car-hop to white collar, I think I did everything but retail. (Likely, I didn’t have that friendly,outgoing “may I help you” attitude retailers look for.) I had jobs that sounded important but weren’t, jobs that were important but didn’t sound so, jobs that sounded important and were. I am also grateful for those sometimes-maligned regulations that gave me a safe workplace regardless of the position I held. Through changing careers and jobs, all that labor took place in a safe working environment. Good for me, because my physical well-being was not compromised. I remain healthy enough as a retiree to go out and run, bike, hike, travel, volunteer, and take on some interesting challenges. My running stream of conscience on that long stretch brought me to the conclusion that the time I take to consider where and how my running purchases are manufactured and the safety of the employees who make them is my small payback for the good fortune that was mine, to have a lifetime of workplace safety. Yes, I’m one of those consumers who hit the “contact” button on the website and fire off a pleasant enough email making inquiries before I buy that ever-so-cute running skirt or the new headlamp. I’ve learned a lot from the responses. Sporting our AG awards, tie-dyed shades, with friend and AG contender Patti. So after such musings on the Saturday long run, a Labor Day Run for the Flag 5K was for fun and good health, to be a small part of a fundraiser, enjoy the outdoors, some post-race watermelon, and time with running friends. Wishing you a happy end to your Labor Day Weekend. Enjoy that last summer picnic. I hope your work life, your running and your autumn are all fulfilling and healthy. Thank you, Mary,, yours too! being “Still a runner at our age”. Exactly. Thank you for the AG competition. Yes, As a purchaser, I figure I’m part of that equation. Thanks for stopping by. Nice Post and Site! 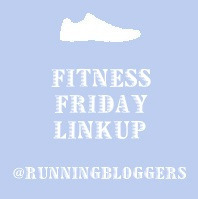 I found you on the Friday Linkup. I just wanted to say as much as working can be a drag.. my opinion is getting into retirement in such bad shape (because you didn’t take care of yourself while you were working) that you can barely do anything fun is as much of a drag. I am a few decades from retirement but I really hope that by trying to keep myself in shape now and into the future that I will really be able to enjoy my retirement and do amazing things. I see so many that can barely get out of the chair and it seems like such ashame to have to spend your retirement that way. Of course sometimes it isn’t their fault, but many times people let their bodies go to pieces and that is where they will go if you let them!